It's pretty inspiring what Sea Shepherd does to help conserve precious ocean life. We've had the privilege seeing two of their ships parked at the Municipal Pier here in La Paz. Our first sighting was Sea Shepherds newest vessel, the Jean Paul DeJoria. According to crew we spoke to, they were provisioning and refueling after being farther up in the sea (Cortez) helping out a couple other boats with Operation Milagro III. Now they're heading to Costa Rica for a campaign of their own. There, they will be helping to protect sharks from the barbaric practice of shark finning. Basically, sharks are caught, their fin's cut off, and the rest of the shark is thrown back in the ocean. Without a fin, they can't swim and sadly sink to their deaths. All for money. The crew was super friendly, and gave us a tour of the boat despite being busy. We had lots of questions and they were patient in answering all of them. Then this past week we saw the Sam Simon, another vessel that had been up in the sea working on Operation Milagro III. 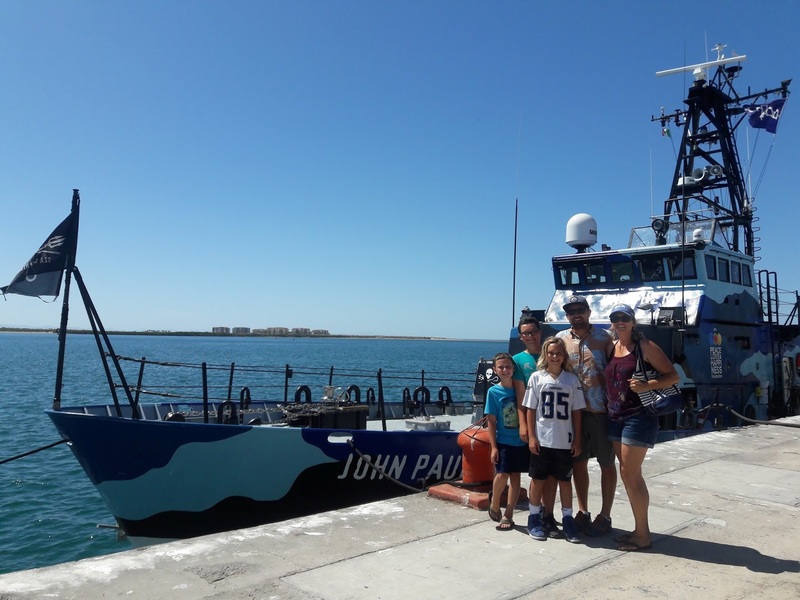 You can read all about this campaign here and how they've been working to defend the endangered Vaquita population. 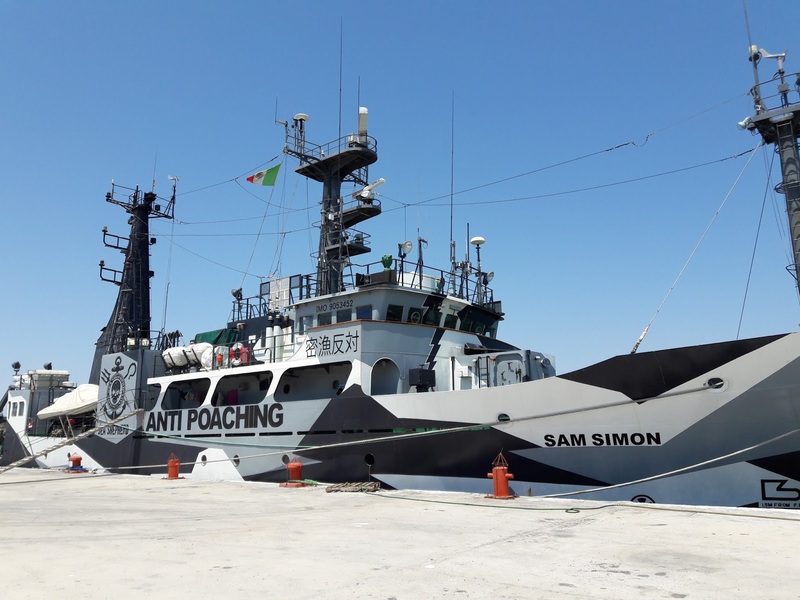 One crew member we spoke to said the Sam Simon is now heading for a new campaign in the Mediterranean where they'll help protect sea urchins, turtles, etc. It sounded like they are still awaiting specific details. I love that our boys are getting these tangible experiences; opportunities to meet people who are out making a huge impact on the ocean landscape. They inspire us to continue doing our small part, in areas we have control over. We're striving to be even more conscious consumers, continuing to educate ourselves on sea life, and cleaning the ocean and beaches of trash, especially plastics. We hope to make a positive impact since the ocean is literally our home.